[Watkins, looking west along Colfax Avenue. Photo: Jeffrey Beall] Watkins is a small plains town of nearly 700 people, located beside Aurora. Part of the town resides in Adams County and some in Arapahoe County. 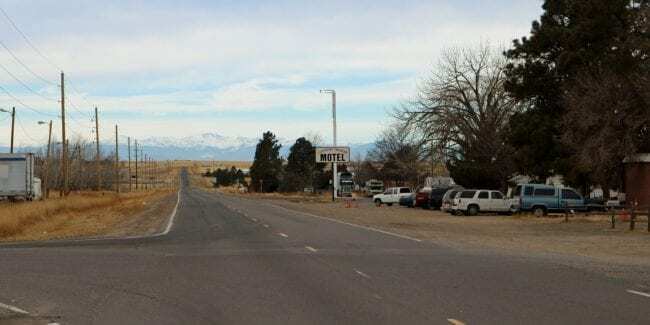 The town was once known as Box Elder. It was named for a local cattleman, L.A. Watkins. The Watkins Post Office has operated in town since 1878. The unincorporated community briefly became incorporated between 2004 and 2006, before changing back by a town vote. 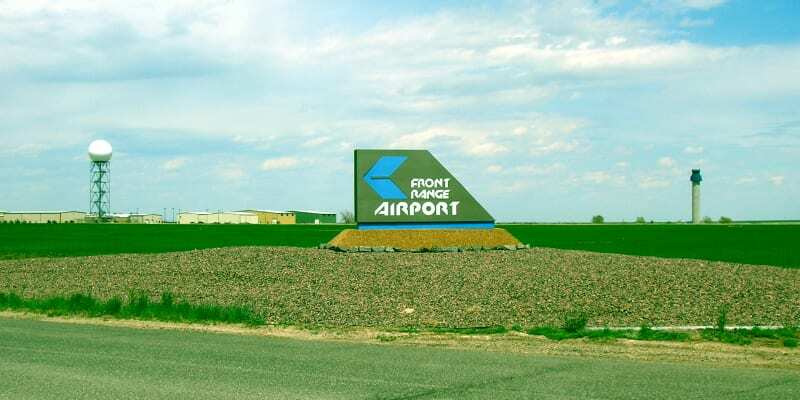 Front Range Airport – Now known as the Colorado Air and Space Port, this is a public airport situated on the border of northeast Aurora. This small general aviation airport lies 3 miles southeast of Denver International Airport. Jul – WarBird Auto Classic – Over 1000 people come to see the 30 vintage aircrafts and 500 show cars from around the country. It’s held in late July at Front Range Airport. See things to do in Aurora.